This was my public declaration of priorities for January 2018. Here’s my current one: Now. I’m working with organizations that share a piece of this mission: Cambia Health Solutions, Hope for Henry, Atlas of Caregiving, and HopeLab. I’m exploring other ways to expand this portfolio of work as I recenter and reset for 2018. My dad, George Fox, passed away from melanoma in December. I am just now starting to understand the impact of Dad’s legacy, including the very difficult last six months, on my extended family and on my own life. I will probably share some of the lessons learned on my blog, so stay tuned. 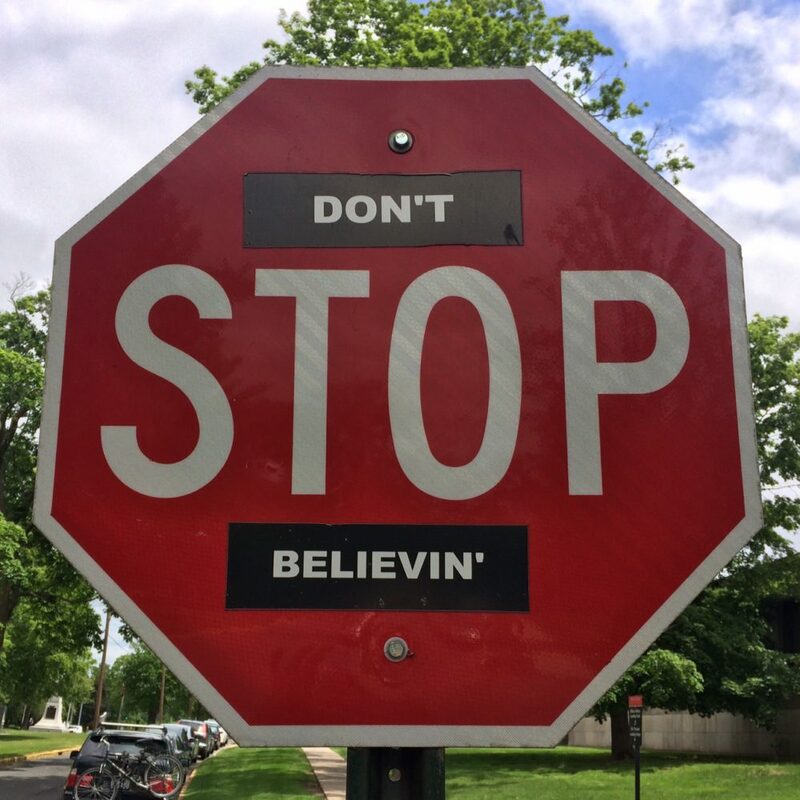 I captured this “Don’t Stop Believing” image while visiting the campus of Wesleyan University last spring for my 25th reunion. Past Now pages: December 2017; November 2017; September 2017.